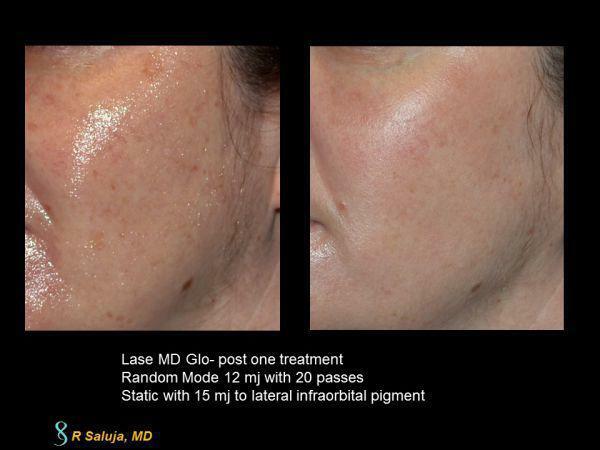 The LaseMD Glo (Thulium laser) is helpful to minimize fine lines and wrinkles and reduce deeper pigmentation in the skin. We typically recommend 3-6 treatments every 4-6 weeks. Here is a status post on one treatment.